View of the oxygen system's gauges. The upper gauge is an oxygen cylinder pressure indicator, measuring between 0 and 500 psi. 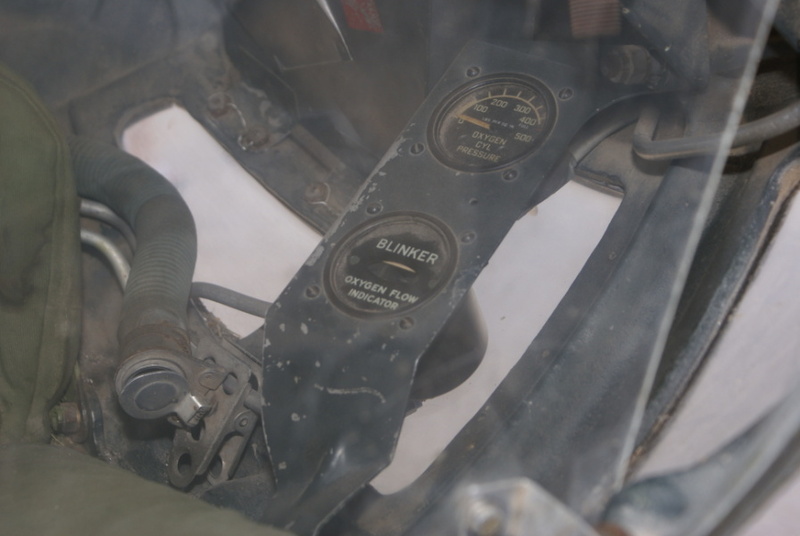 The lower gauge is the "blinker" or oxygen flow indicator. This view is aft looking forward. Note the green seat at left.